We are celebrating World Book Day on Thursday 7th March and will be visited by a local author Lou Treleaven. Lou is a children’s author who writes picture books, early readers and junior fiction. 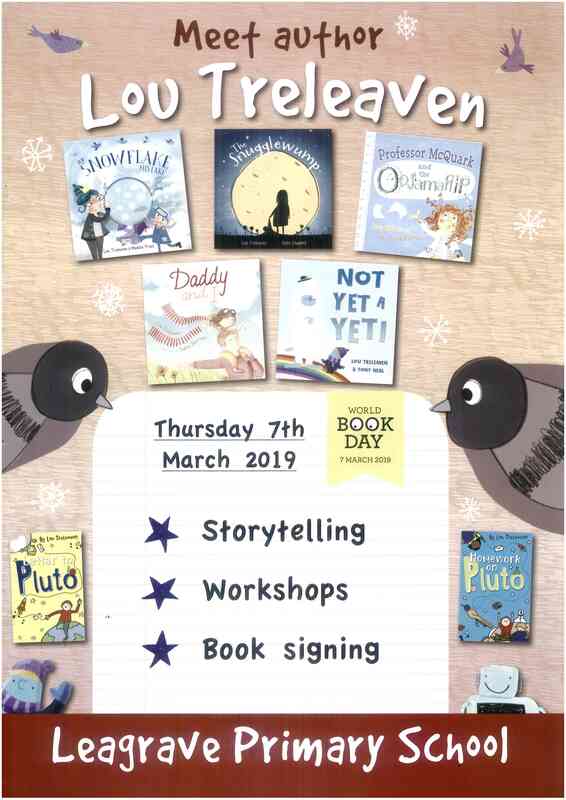 With hilarious stories on how to save the planet in books such as‘Letter to Pluto’, and books to encourage new generations of inventors with Professor McQuark, there are stories for all of our children to enjoy. During the day, Lou will be running a variety of workshops for all children to enjoy, and we look forward to sharing photos of our fun event. Lou will be available at the end of the day to sign her books, should you wish to purchase any.